Situated midway in the Pacific Ocean between South America and Australia, French Polynesia is comprised of 118 islands in the Austral, Gambier, Marquesas, Tuamotu, and Society archipelagos spread out in an area roughly the size of Europe. Papeete on Tahiti is the capital. Within the Society group are Bora-Bora, Raiatea, Tahaa, and Huahine, the jewels of the exotic cruising grounds of a Tahiti sailing vacation. Because the islands are downwind from Tahiti they’re known as the Leewards. The mountainous heights rise from the sea atop what remains of ancient volcanoes so old the craters have all but eroded into oblivion. Encircling barrier reefs provide a habitat for sea turtles, sharks, dolphins, porpoises, colorful hard and soft coral, and more than 500 species of fish, making the Tahitian Leewards one of the world’s top snorkeling and scuba diving venues. Resorts, watersports, island tours, archaeological sites, and fine dining are just some of the delights of a Tahiti yacht charter. TAHITI BAREBOAT CHARTERS - The ultimate in privacy & freedom, bareboat rentals are for groups having their own qualified skipper. Hiring a captain and or hostess/cook always remains an option. For a list of our available Bareboat yachts, please Click Here. 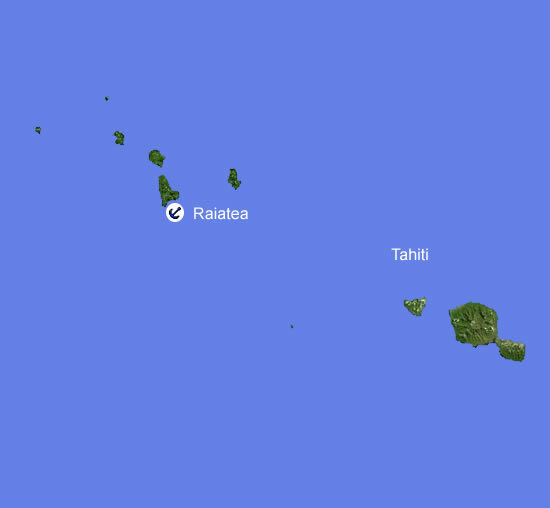 Raiatea, nicknamed “The Sacred Island” and once at the heart of ancient Polynesia. The base is at Marina Apooiti, 2km from the town of Uturoa. The base is located in the middle of the Leeward Islands, the North-western group of French Polynesia, and is located just 2 minutes from the airport. 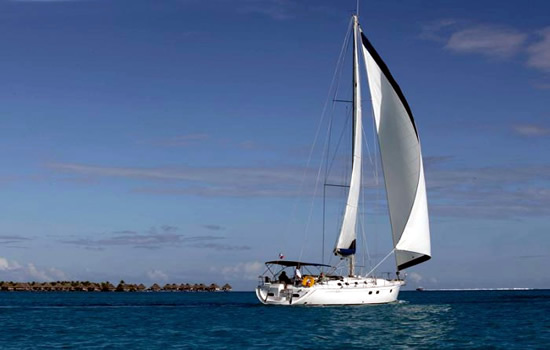 A Tahiti sailing itinerary typically includes easy passages within the protected waters behind the beautiful coral reefs that encircle the islands, allowing for relaxed sailing in one of the most exotic cruising grounds in the world. Below you will find links to additional information we are certain you will find useful pertaining to your yacht charter vacation out of Tahiti. Practical Travel Info: For useful tourism related information for Tahiti. Highlights: For useful location information for Tahiti.